Ten-member juries awarded points (5, 3 and 1) to their three favourite songs. The Eurovision Song Contest 1964 was the 9th edition of the annual Eurovision Song Contest. It took place in Copenhagen, Denmark, following Grethe & Jørgen Ingmann's win at the 1963 contest in London, United Kingdom with the song "Dansevise". It was the first time the contest took place in Denmark - also marking the first time a Nordic country hosted the event. The contest was held at Tivolis Koncertsal on Saturday 21 March 1964, and was hosted by Lotte Wæver. Sixteen countries participated in the contest. The number of participants therefore remained the same, as the previous three editions. Portugal made its début, while Sweden withdrew. The winner was Italy with the song "Non ho l'età", performed by Gigliola Cinquetti, written by Nicola Salerno and composed by Mario Panzeri. This was Italy's first victory in the contest. At the age of 16 years and 92 days, Gigliola Cinquetti became the youngest winner of the contest yet; a record she held until 1986. The host venue for the contest was Tivolis Koncertsal (Tivoli Concert Hall) in Denmark's capital city Copenhagen, which lies within Denmark's famous amusement park and pleasure garden Tivoli Gardens. The park, alluding by its name to the Jardin de Tivoli that existed in Paris, was opened on 15 August 1843, and is the second oldest amusement park in the world, after Dyrehavsbakken in nearby Klampenborg. Each country had 10 jury members who distributed three points among their one, two, or three favourite songs. The points were totaled and the first, second, and third placed songs were awarded 5, 3, and 1 votes in order. If only one song got every point within the jury it would get all 9 points. If only two songs were chosen, the songs would get 6 and 3 points in order. A political protest occurred after the Swiss entry: a man trespassed onto the stage holding a banner that read "Boycott Franco & Salazar". Whilst this was going on, television viewers were shown a shot of the scoreboard; once the man was removed the contest went on. The immediate response of the Koncertsal audience to the Italian entry was markedly enthusiastic and prolonged and, most unusually for a contest performance, after leaving the stage Gigliola Cinquetti was allowed to return to take a second bow. Her performance was given an unscheduled repeat on British television the following afternoon. In the event, she won the most crushing victory in the history of the contest, with a score almost three times that of her nearest rival, a feat extremely unlikely ever to be beaten under the post-1974 scoring system. As with the 1956 contest, no video recording of the actual contest performance is known to survive (although one does of the shorter winning reprise); however like the 1956 contest an audio recording does exist. (Videos of Cinquetti's Sanremo performance and her Eurovision winning reprise have both appeared on YouTube.) Reports say that this is because there was a fire at the studios of DR, the Danish broadcaster, in the 1970s. No other broadcaster recorded the entire show (although segments of the contest do exist in the archives of NDR Germany) other than for the Winners' reprise. It has been speculated that the BBC once held a copy of the show, as an empty tape canister marked "Eurovision 1964" was found during a storage cleanup, but the tape was missing, presumably wiped. The audio of the entire show however is still intact, and an unofficial release of the show has been uploaded to YouTube with press-photos and some intact video parts to supplement the audio. Sweden did not participate because of a boycott by singers. They did however broadcast it. Portugal made its début in the contest, however they became the first country to score nul points on their début. Germany, Switzerland, and Yugoslavia also scored nul points for the first time. The Netherlands became the first country to send a singer of non-European ancestry, Anneke Grönloh was of Indonesian descent. The Spanish group Los TNT was the first group of three or more participants of the history of the ESC. 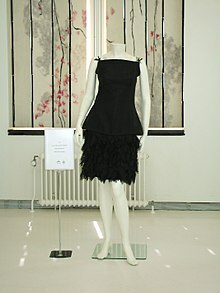 One artist returned to the contest this year, Switzerland's Anita Traversi that represented the country in 1960. The table below shows the order in which votes were cast during the 1964 contest along with the spokesperson who was responsible for announcing the votes for their respective country. Each national broadcaster also sent a commentator to the contest, in order to provide coverage of the contest in their own native language. Details of the commentators and the broadcasting station for which they represented are also included in the table below. ^ Tivoli – Tivoli Gardens Copenhagen – Copenhagen Portal – Tourist Guide. Copenhagenet.dk. Retrieved on 15 August 2011. ^ a b c d e "Eurovision Song Contest 1964". EBU. Retrieved 14 June 2012. ^ a b c d e f g h i j k l m n o p "Conductors 1964". andtheconductoris.eu. Retrieved 29 February 2016. ^ "Eurovision Song Contest 1964". The Diggiloo Thrush. Retrieved 4 March 2012. ^ "Dokumentaire over Schiermonnikoog". De Leeuwarder Courant (in Dutch). 23 March 1964. ^ a b Christian Masson. "1964 - Copenhague". Songcontest.free.fr. Retrieved 10 August 2012. ^ "Programme TV du 15 au 21 mars". Radio TV - Je vois tout. Lausanne, Switzerland: Le Radio SA. 12 March 1964. Wikimedia Commons has media related to Eurovision Song Contest 1964.